Today, we’re going to talk about some of the crazy stuff that happens when you’re overcommitted and working too hard to get through an impossible to-do list. I’m not talking about burnout. Burnout is what happens when you allow stress to build to the point that you stop caring. You lose your motivation to work. Instead, we’re going to dig deep into what happens before that, when you’re hyper-motivated, but your mania is starting to sabotage your efforts. In the rush to be as productive as possible, it’s tempting to push yourself to your limits. You put in a ton of hours, skip meals, neglect to take breaks and ignore everything but the work sitting on your desk. That’s when you start to make mistakes. And you become less productive in the process. The worst part is, you may not even realize it’s happening! You just feel more and more frustrated with yourself and your diminishing productivity. But you can be sure other people are starting to catch your mistakes, observe your frustration and notice the decline in the quality of your work. So ask yourself… are you overcommitted to the projects and tasks currently hanging over your head? Here are 7 signs you need to back off a bit. I could say, “You’re forgetting tasks,” but it isn’t that simple, at least for me. I’m forgetful by nature. I’m likely to overlook important tasks if I don’t send myself reminders to do them or put them on my to-do lists. I’m aware of that personal deficit and have to actively take steps to overcome it. I know I’m trying to do too much when I start to question whether I’ve remembered to take those steps. I begin to worry that I’ve forgotten to set up reminders about important tasks. Or I’ve neglected to add key items to my to-do lists in Todoist.com. The concern alone signals that things are falling through the cracks. It’s an indication I need to slow down. I do my own accounting four times a year. It helps me to keep up with self-employment taxes and know that I’m paying something roughly close to what I owe. It also helps me to track my profits and expenses. I have this process down to a science, and normally it is pretty straightforward. I get through it without making any mistakes. If I notice I’ve made three or four math errors while running the numbers, it is a definite sign I am overworked. Obviously, you never want to make mistakes with something as critical as tax calculations. The IRS will catch them. Keep in mind, I’m talking about simple math: addition, subtraction and multiplication. If you’re getting that stuff wrong, who knows what other mistakes you’re making? This goes along with Sign #2. I do a fair amount of writing every day. I spend some of my time writing new action guides. Some is spent writing blogs and actionable productivity tips for my newsletter subscribers. Some of it is spent on email correspondence. When I am at my best, I can type thousands of words without making a single spelling or grammar mistake. But when I am exhausted and stressed, the mistakes pile up. Going back to fix them takes a great deal of energy and time. That, in turn, pushes me further along the road toward experiencing a total collapse. When I am super busy, I have a tendency to forsake meals. Occasionally, it happens because I want to reward myself with a snack for completing a particular task. But more often, it happens because I get into the zone and fail to realize my body is craving sustenance. Either way, if you find yourself doing this, you’re working too hard. Don’t deprive your body and mind of what they need in order to function well. The time you save by not eating will be spent in correcting a pile of mistakes and taking longer to finish tasks. This is the one of the clearest signs you’re overworked. The harder you push yourself, the more you end up compromising your real productivity. Once you pass the limits of your peak performance, you end up with diminishing returns. You start to put in more time to complete items on your to-do list because it takes you longer to get each item done. As you know, I’m a big believer in tracking my time. I know how long certain tasks, such as writing a blog post, should take me. When a task that normally requires one hour takes me two hours to complete, I know something is wrong. What happens when you spend three extra hours working each day? You have less time to spend with your family, friends, personal projects and hobbies. All of your extracurricular obligations and passions suffer. These things are important. They provide us with meaning and happiness. If you neglect them for long periods, you’ll experience higher stress levels because your life is no longer in balance. It no longer feels rewarding to you. You may find yourself doing what I sometimes do: putting in extra hours at night when you would normally be sleeping. Maybe you think that’s the only way you’ll be able to catch up on your work. You start sleeping for six hours instead of your usual eight to gain an extra two hours. But that “strategy” has consequences that hurt your long-term productivity. With less sleep under your belt, you’ll wake up each morning feeling groggy and unrested. Your work will become more difficult to address because you have less energy, less focus and are more inclined to be distracted. Have you noticed a pattern with these signs of overwork? They all feed into a vicious cycle. The harder you struggle uphill, the more your performance lags and the worse the problem gets. At times like these, do the unintuitive. Do what seems illogical. Give yourself a break. Take time off to reprioritize. Delegate where you can. Give yourself extra rewards for your hard work. Forgive yourself for your shortcomings. Remember, you’re only human. Take care of yourself first. Only then will you have the motivation and energy to handle your work with true productivity and take care of those who are important to you. If you’re having trouble managing your time, completing projects and staying productive, you may be the victim of bad habits. Be sure to check out my latest action guide The 30-Day Productivity Boost: How To Break The 30 Bad Habits That Are Sabotaging Your Time Management. Click below to grab your copy of The 30-Day Productivity Plan – VOLUME II! Click below to grab your copy of The P.R.I.M.E.R. Goal Setting Method! Click below to grab your copy of 80/20 Your Life! Click below to grab your copy of The Joy Of Imperfection! 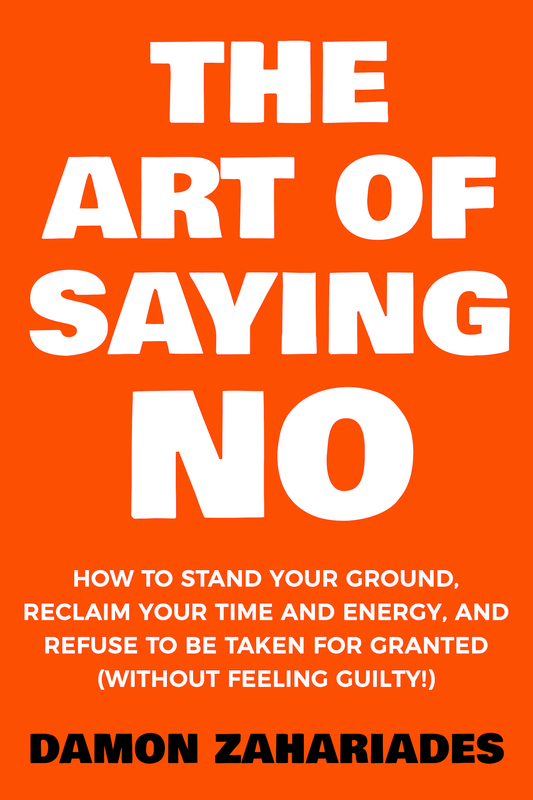 Click below to grab your copy of The Art Of Saying NO! 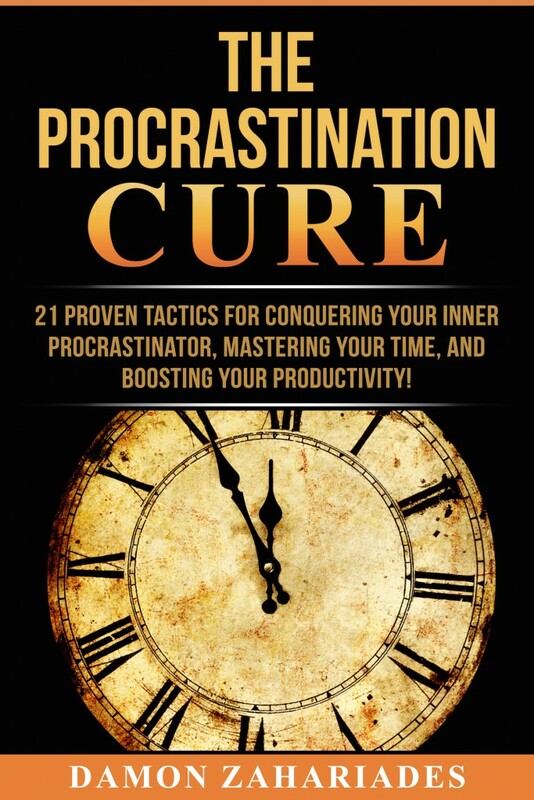 Click below to grab your copy of The Procrastination Cure! Click below to grab your copy of Morning Makeover! Click below to grab your copy of Fast Focus! Click below to grab your copy of To-Do List Formula! 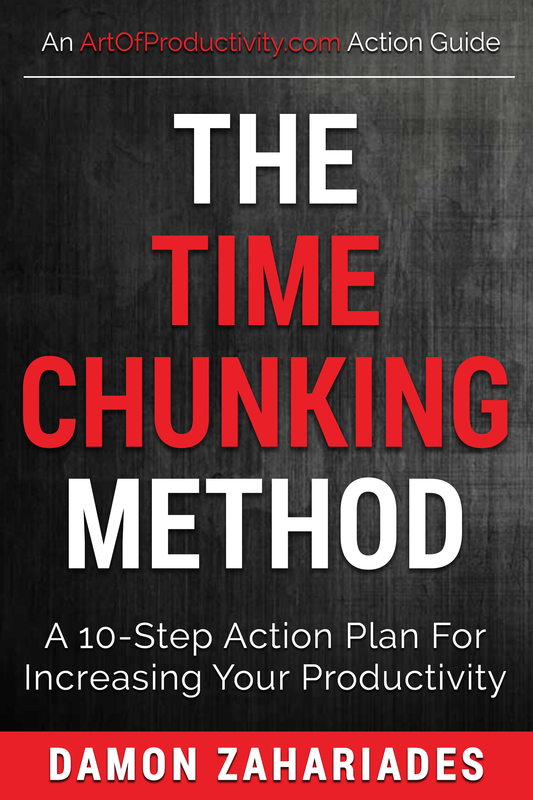 Click below to grab your copy of The Time Chunking Method! Click below to grab your copy of Small Habits Revolution! Click below to grab your copy of The 30-Day Productivity Plan! Click below to grab your copy of Digital Detox!